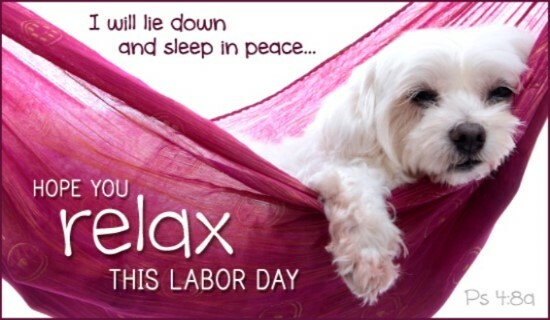 Labor Day is often considered as a day off from your work and school and a final farewell to summer. However, the origin of this historical holiday and its special significance to our colleagues and fellow workers is worthy to know. The first Labor Day festivals and parades took place around in the end of eighties as a tribute to laborers considering what they contributed in the strength, prosperity and well-being of the country. Thereby various states across the country began to adopt a holiday to appreciate the working force. Consequently, in 1984, Labor Day was recognized as a national holiday. Respecting the importance of workers, Oklahoma Department of Labor has been working heartily to encourage, promote and build the welfare of Oklahoma’s workmen and wage earners. The agency strives its best to serve and help the workers by improving their working conditions and developing opportunities for better and more profitable employment. Moreover, the department holds various important programs that raise awareness regarding workplace safety. Since laborers are back bone of any institution, their safety is essential for any prospering organization or society. However, there have been reported various incidents throughout history regarding such as the electrical shock, slip or fall injuries and exposure to hazardous chemicals. And many newspapers have exposed numerous irresponsible organizations neglecting worker’s safety resulting in loss of various lives, injuries to the many laborers and grief to their families. Considering such situations, many laborer’s organization have been vigorously working for requirement of licensing and proper regulations of certain industries that demand extensive physical efforts. Moreover, these have been organizing public seminars in various schools, counties and cities regarding safety standards and crucial need for their inspection and enforcement. Moreover, many health organizations have also been working supporting the lower work force by providing them quality treatment at reasonably lower rates as possible. Moreover, many consultation firms have been assisting corporates in the improvement of their worker’s safety policies and standards, and helping them by identifying workplace issues, providing feasible solutions and thereby avoiding costly fines. Whether it is a small business or a corporate giant, a tiny village or massive country, the health and safety of laborers working there cannot be ignored. Since they are chief support for them. Therefore, it is prime responsibility of an organization or an institution to take care of their employees and their families by formulating worker’s policies and ensuring workplace safety. Similarly, Labor Day highlights the importance of laborer in the building and development of a company, county and country, celebrating it as a tribute to their contribution in the marvelous performance that they have made throughout history until now. Let us take this glorious day as an opportunity to foster laborer’s organizations and call and command for their safety for our better and brighter nation.